As part of this handover, it was agreed that Things Made Public would retain the rights to use the name Retailery in future. 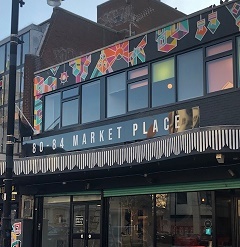 This means for the time being the space has been renamed ‘80-84 Market Place’. Despite the name change, it will continue operating in the same way and the Council will work with and support the local businesses housed in there to enable them to stay open as usual. “I understand that the space, formally known as The Retailery, is a great asset to Romford town centre. With a new operator in place, it will continue to be a hub for small business start-ups and community groups where they get the support they need to grow and prosper. “We now look forward to finding a new operator who will continue to provide a home for the existing businesses and encourage new independent businesses to grow."